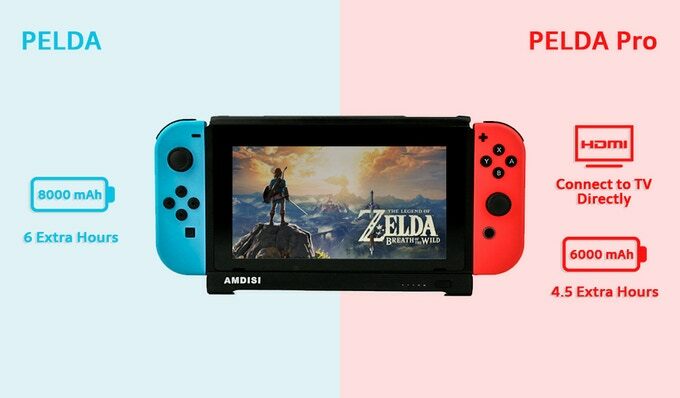 Amdisi has two new cases that are available via our favorite crowdfunding website: Kickstarter. The PELDA and the PELDA Pro. Both of the cases, are perfect on the go for extending your battery life. 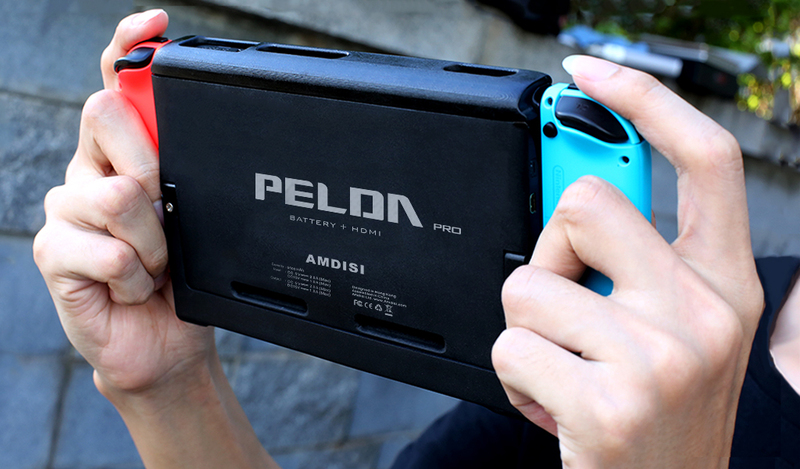 If you just require an extended battery case, the regular PELDA version will extend your playtime by 6 hours with its built in 8,000 mAh battery pack. If you prefer to have HDMI connection without having to bring your dock wherever you go, the PELDA Pro is a better version as you can connect with a micro HDMI cable. 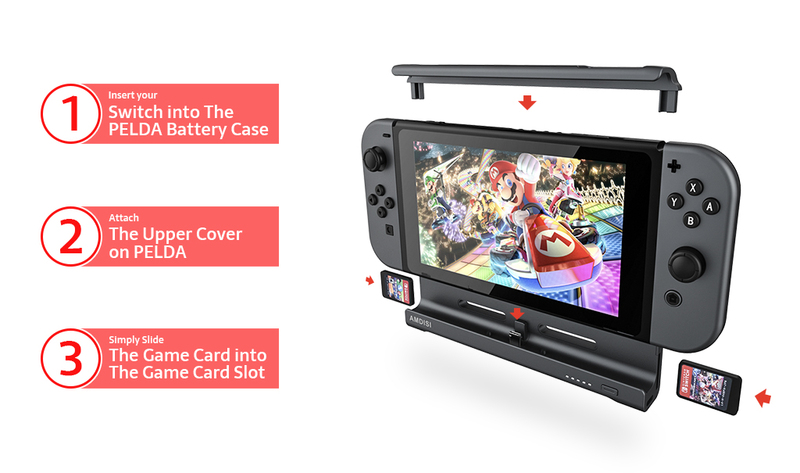 It also comes with a 6,000 mAh battery pack to extend your battery life by 4.5 hours – you know for travel time before you get to your friend’s house and plug in the Switch. There is also storage built into the case for 2 additional games! Both the PELDA and PELDA Pro will be available January of 2018, which is still a couple of months away. The product has already met its goal on Kickstarter. The PELDA is currently priced at $45 for Super Early Bird (at the time of this article) and you can even get a bigger discount by buying 2 for $80. The PELDA Pro is a pricier option at $95, but you do get the convenience of not having to bring your dock everywhere and there is no mention if the HDMI to micro HDMI cable is included. What do you think? Do you prefer the PELDA or PELDA Pro case? Tweet us @AsianGeekSquad! Click here to visit PELDA Pro on Kickstarter!